It is easy for parents to feel burned out from time to time. For parents of children with special needs, this is particularly true. Watching your child encounter obstacles of any kind can be emotionally draining – whether it be well-meaning adults who make a thoughtless comment, or a playground without any accessible equipment for your child to play on. If you are one of those parents who is feeling drained or just plain frustrated, it is important to take a “time-out” for your own well-being. Affirmations can be a valuable tool to help encourage positive thinking, and even re-train some of the subconscious thoughts that may be dragging you down. 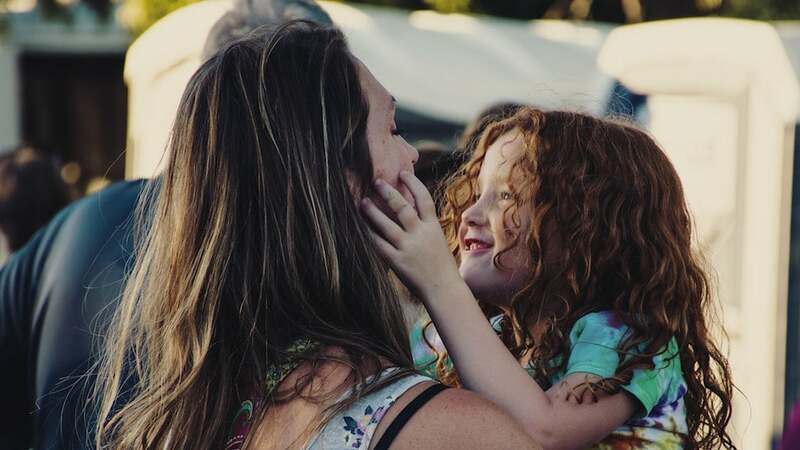 Create a soothing mantra to help de-escalate your emotions during challenging times with our list of 10 positive affirmations for parents. Affirmations are positive statements that are repeated over time, with the goal being to influence or change a person’s subconscious thinking. These can also be referred to as positive power statements or “I Am’s,” since they are statements that commonly begin with those words – for example, “I am a good friend.” Many people find that affirmations are helpful when used as a part of a mantra or meditation. Freud estimated that the subconscious mind has approximately 50-60 percent usage (the most of the three!) because it stores recent memories and information that you use on a daily basis, such as habits and feelings. So, if you are looking to change your outlook on life or improve your mood, the subconscious mind is an important place to look! It is totally understandable if the first thought that comes to mind when your child with special needs encounters any kind of barrier is, “This is so ridiculous and unfair.” However, these kinds of thoughts over time might train your brain to constantly look at the world in a way that is pessimistic and edgy – and that is a tough world to live in. On a similar note, it is worth mentioning the importance of believing in your affirmations. This is worth considering when you write affirmations in a present tense, because you might NOT feel happy or confident at the time, and that is okay. But in order for your affirmations to be effective, you need to believe that you can feel happy and confident, even if it takes a little bit of work to get there. The next time you feel the need to boost your mood, try reading this list of positive affirmations out loud to yourself in the mirror. If that’s not your style, try writing them down or meditating on them quietly in a safe place. With each breath, I inhale the energy of positive thoughts. I deserve to feel hopeful right now. I am doing the best I can for my child. I love my child[ren] exactly as they are. There are good and kind people in my community. Challenges are an opportunity for growth. I prioritize my physical, mental and emotional health. I am persistent and energetic. This list of affirmations includes two “I am” identity statements, along with several other variations. Each was carefully drafted to maintain a present tense and a positive outlook. During the original brainstorm session, affirmation #10 was “I will not give up.” After further consideration, we decided to avoid the word “not” altogether. Not is NOT positive! There are many different ways to practice using affirmations in your life, and you may find it beneficial to try a couple of different methods at once. While this won’t necessarily speed the process of re-shaping your subconscious thoughts, it may help keep you accountable to creating a habit of positive thinking. Warm up with a breathing exercise. Be conscious of your breathing, as you inhale positivity and exhale all of the negative thoughts that are dragging you down. Do this for several minutes before reading your list of affirmations, to help center your thoughts. Reading your affirmations out loud. You can do this in front of a mirror, to a loved one, or even to your cell phone! Create a selfie video that you can re-watch whenever you are feeling discouraged. Writing (and displaying) your affirmations prominently. Writing things down helps us commit them to memory, and we’re not just talking about a grocery list. Journal your affirmations, or place them somewhere you will see them – by the sink where you do dishes, on your computer monitor, or by a bathroom mirror. You know your feelings better than anyone else. If there’s a certain area you would like to approach differently, consider writing your own list of affirmations. Remember to use the present tense and maintain a positive tone. Affirmations can help you shape your thoughts with positivity and encouragement. However, it is important to take care of yourself even if you are busy taking care of a family. If you are struggling with feelings of hopelessness, please reach out to a mental health provider. Unlimited Play is committed to breaking down barriers that children with special needs face. Our licensed 501(c)(3) nonprofit organization strives to bring inclusive, universally-accessible playgrounds to community parks nationwide. At Unlimited Play, we have the resources to help develop playgrounds that promote dignity and respect among children and their parents. Interested in learning more about Unlimited Play? Read our story, or contact us today.